My-Lipo uses the power of Light Therapy to slim or tone any targeted area to aid in inch loss. When combining each session with exercise, the client can expect to lose inches! 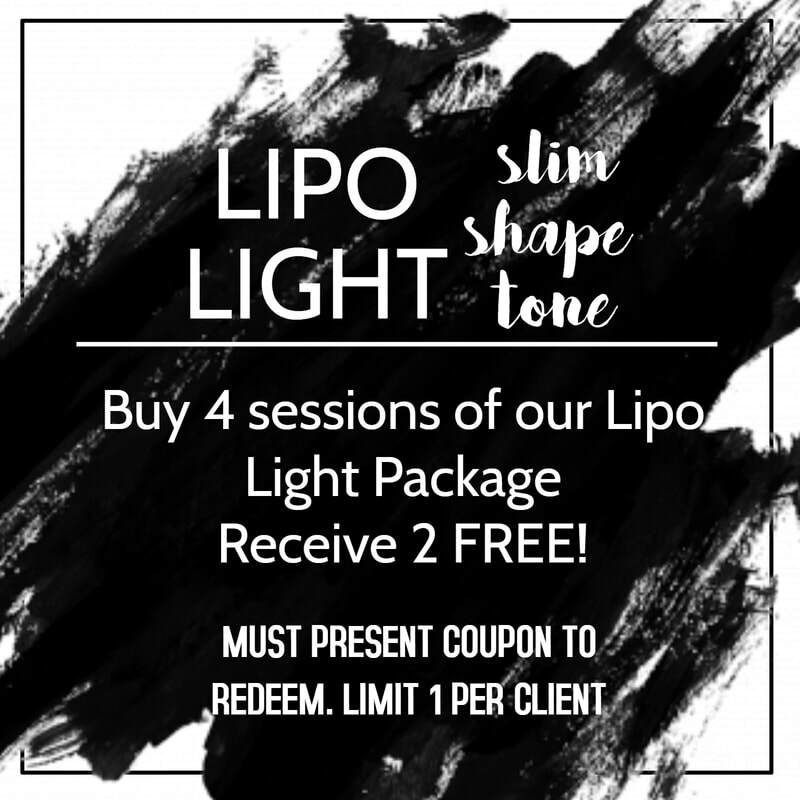 The client will come in two times per week for a 20 minute Lipo-Light session. During the treatment, a Sunset Beach employee will place pads on the targeted area the client is wanting to focus on. The pads will be held in place by an adjustable strap and will be be held directly against the skin for maximum effect. It is recommended the client has two sessions per week over a 4 week period to see optimal results. On the day of the appointment, the client will need to drink water to stay hydrated before and after their treatment and maintain a low carb diet. After the appointment, combining the treatment with exercise will allow any excess fat cells to be burned away.